My name is Lucy Parratt, I was a primary school teacher in China. I have also had experience as a manager in a listed company in Shanghai. In my last vocation I had my own psychological consulting company in China, and my website is still currently running. Some of my students have become primary school teachers, they love me, and we are still in contact with one another. 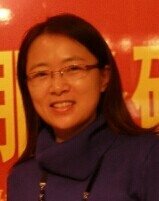 I want teach chinese in Wollongong or Nowra, please contact to me ( **E-mail Address Removed**) for anytime.